It’s been quite some time since we talked Nerdo (studio form Turin). Definitely gone a long way, specially in render definition and textures. 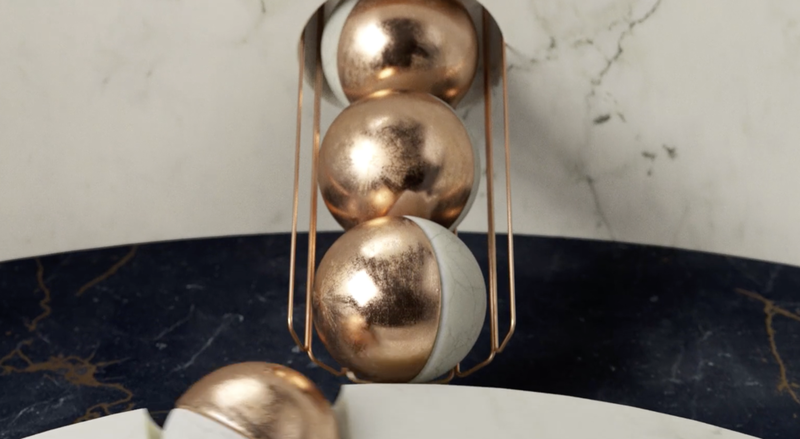 Posible Octane/Redshift enhancing those marble and rough copper shines. Nice and tidy, with a strong influence of instagram creators if I may.